Platform Size 2" x 2"
Scale Size 3.5" x 2.25" x 0.75"
Bright Backlit DisplayThis digital scale has a fancy blue, backlit display to help ya see your weight readings, even in dim lighting. Easy CalibrationThis scale comes factory calibrated and ready to use. Just in case ya need to calibrate it, the 333 comes with easy to follow calibration instructions. You'll just need to pick up a 200 gram calibration weight to get the job done. Tare FeatureThe tare button on the front of this digital jewelry scale can be pressed to "zero out" the weight on the scale. You can then add more weight, and the display will only show the weight of the items you're adding. This sure is useful when ya want to use the cover as an expansion tray to weigh your things, or if ya want to get separate weights of multiple items. Man, This Thing Is Tiny!You won't have to worry about this scale taking up space. It's just over three inches long, and less than an inch thick! You can take this scale pretty much anywhere ya want...stick it in a pack, purse, or in your shirt pocket. It Remembers The Last Unit Ya UsedIf your application needs weights in the same unit of measurement, (like ounces for instance), it can be a real pain if your scale always turns on ready to weigh in grams. It's a good thing the ProScale 333 turns on displaying the unit of measurement you were using when ya turned it off. Auto-Off FeatureIf ya have ever had the batteries in something run out because you forgot to turn it off, you'll realize what a blessing this feature is. The 333 will automatically turn off after a few moments of inactivity, saving battery power and money. 5 YEAR MANUFACTURER'S WARRANTY!If ya have a problem with this scale, just send it to ProScale's warranty center in Phoenix, Arizona. They'll fix or replace your scale and send it on its way back to ya within a week of receiving it. You should expect your replacement to arrive in about two to three weeks from the day you send the original off. Keep in mind that sometimes ProScale runs out of stock, which can cause a delay in the warranty replacement process. Use Old Knox scales for my setup guys. Work great and they all have one in their toolbox. It'd be good if it were actually more like the description. This thing is more accurate to the .2g, not .1g. Put anything less than .2g and half the time it didn't even get a reading. The other problem is that it shuts itself off, so if you're weighing stuff, better be quick or you'll start all over. I'd seek a different scale if you're looking for small and/or accurate readouts. Very happy with my purchase. Has already saved me money. Have recommended your scales to a friend who also needs to weight purchases. I bought this scale as a beginning scale for amateur pyrotechnics. 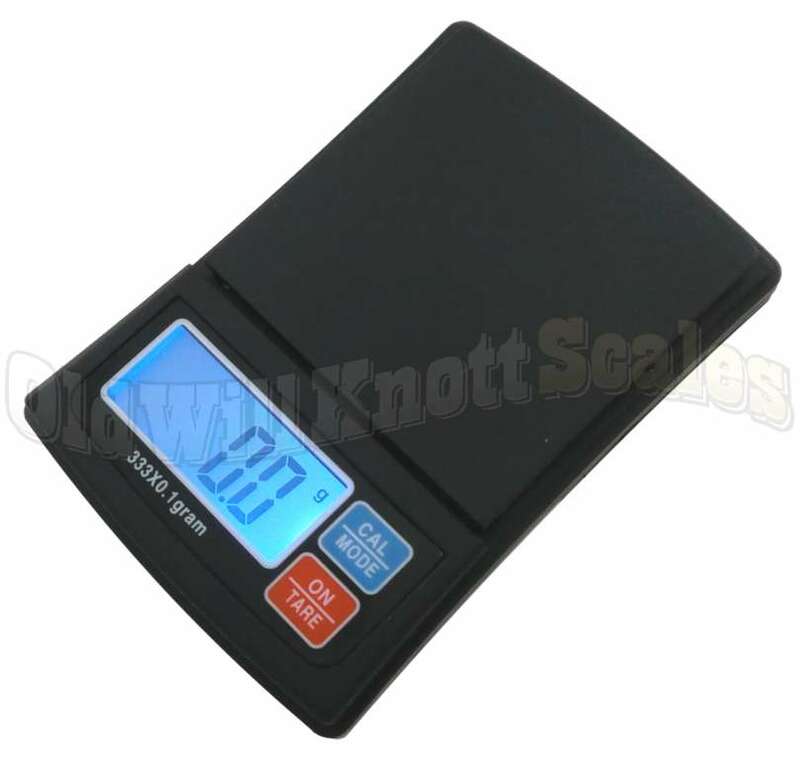 This scale is very accurate, easy to use, small and lightweight. It has a good warranty. It doesn't eat up batteries. CON-There's no way to keep the scale from turning off after a few seconds of inactivity; makes it difficult when precisely measuring becuase once it goes off, it loses it's tare and you have to start all over again. All in all, it's a GREAT scale for the money. 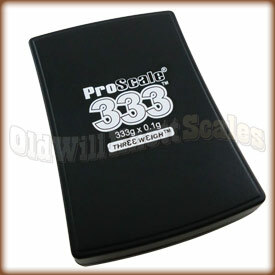 Pocket Pro Scales are great! These scales are perfect for what I need. Fit in my bag for easy access when I need to weigh my portions on Weight Watchers. LOVE THEM!